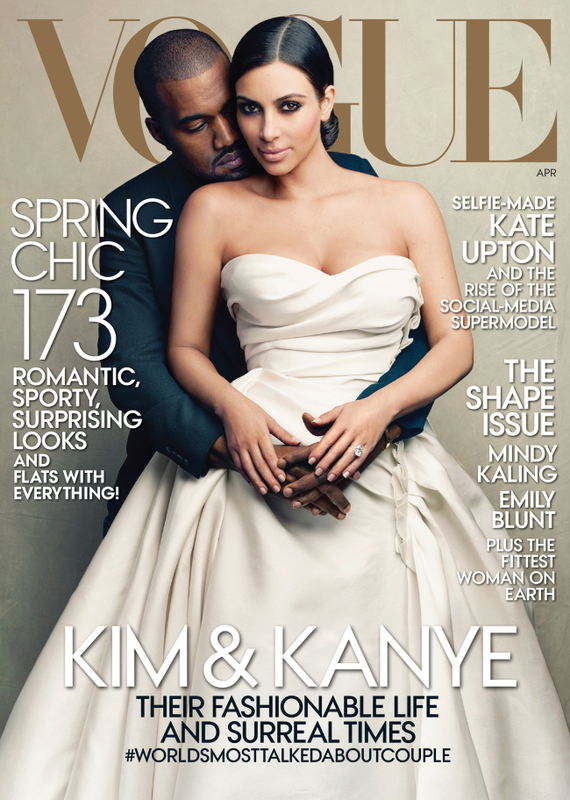 NEW YORK (AP) ― Kanye West’s campaign to get fiancee Kim Kardashian on the cover of Vogue magazine has finally paid off. They appear in a photo by Annie Leibovitz on the April issue. The photo shows Kardashian wearing a white wedding-style dress with West’s arms around her. She posted it on her official Twitter and Instagram accounts saying: “This is such a dream come true!! !” West wrote “Thank you (at)voguemagazine” on his Twitter account. West had said he believed Kardashian is cover-worthy. In a radio interview with Ryan Seacrest last October, he said “there’s no way Kim Kardashian shouldn’t be on the cover of Vogue.” He also said Kardashian was more influential than first lady Michelle Obama in her clothing choices. However, in the magazine, which hits stands March 31, Vogue editor-in-chief Anna Wintour tells readers it was the magazine’s idea to feature Kardashian, and the decision was based on the reality starlet’s dominance ― and was not influenced by her famous boyfriend.